The chair acts as one of the most necessary pieces of furniture, be it a home space or a country plot. 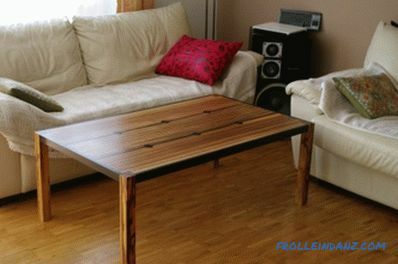 You can buy such furniture in the store, and you can make a chair with your own hands. 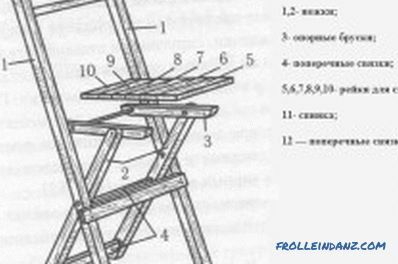 The instructions below will describe the manufacture of a chair, which resembles scissors in its principle of unfolding (fig. 1). Figure 1. Folding chair, side, top and folded view. When making such a chair with your own hands, you should take care of the correct dimensions of the blanks, since it will be extremely difficult to adjust the finished product. If you want to make chairs with your own hands, you need to pay special attention to the choice of material, and you should pay attention to the ash panel of 21 mm. All dimensions of the blanks are indicated already with allowance. 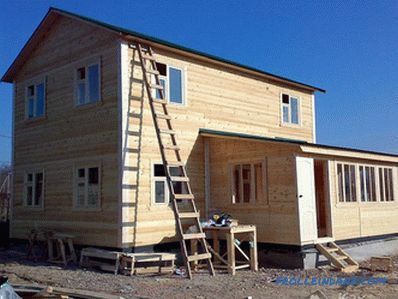 Once the drawing is ready, you can start sawing and subsequent installation of the structure. 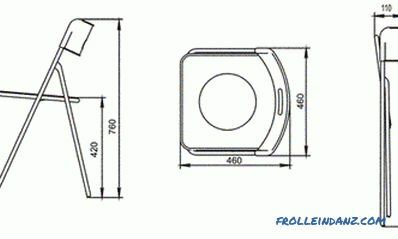 A diagram of a folding chair with basic dimensions. At the first stage of the assembly, it is necessary to cut it out, and then to connect two boards between each other using glue to form the armrests. The same has to be done with the support bars, which are intended for the legs. 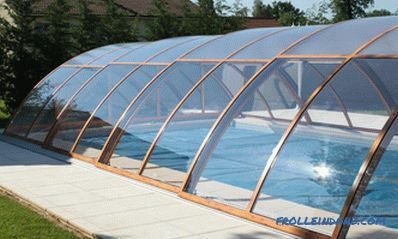 The first option involves the installation of elements on the edge in the process of bonding, while the second involves their installation on the sheet. The completion of the cut elements must be accompanied by a rounding of the edges, while the edges of the armrests and support bars must have a significant radius. After stool blanks are cut, it is recommended to mount them without using glue, this will allow to fit the elements. The first step in the work will be the manufacture of a template from cardboard, which will be used in the manufacture of legs. In the template should provide all the holes. It should be used to mark the contours of the workpiece on the surface of the board. The element needs to be cut with an electric jigsaw, and then you can drill holes. In the subsequent finishing of the workpiece must be made by means of a file. 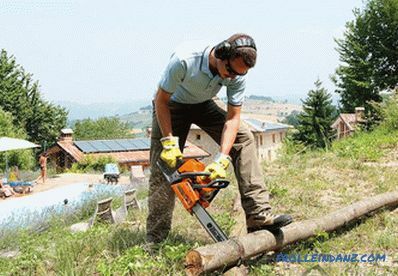 The next step involves the use of an auxiliary board that will allow the processing of the cut blanks. Using a cardboard template, you need to drill out in her nest and install two shkant. The latter are necessary for the installation of the legs to be processed. Taking into account all dimensions, you need to prepare the remaining legs in the amount of 15 pcs. As soon as it was possible to get the first part, it can be used as a stencil for making subsequent ones. For the three legs it will be necessary to use a board whose width is limited to 120 mm. Diagram of a folding chair without a back. The ends of the legs must be machined in a makeshift chassel, using a template, you must first install the workpiece on the board-fixture. Now you can put on four legs on the threaded rod. 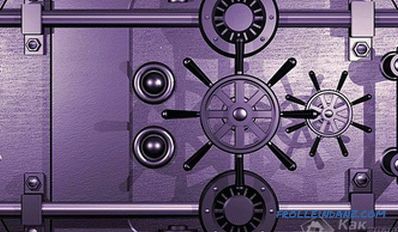 The design can be pulled down with a special tool. The external and internal sides of the blanks need to be processed with a rasp, which will allow to obtain the necessary shape. 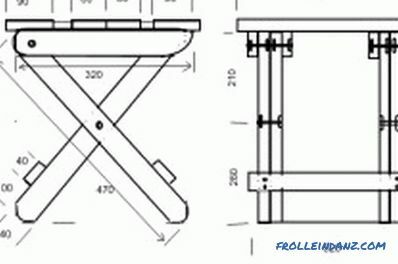 A folding chair at the ends of the legs should have perpendicular holes that are useful for installing grooved dowels. To do this, the elements need to be strengthened on the board-fixture, pulling them together. In advance prepared nests it is possible to paste shkanty. Using the drawing that was presented above, you need to cut the seat strips, gouging down on their inside the supporting ends. The legs and slats need to be put on four threaded rods 45 cm. 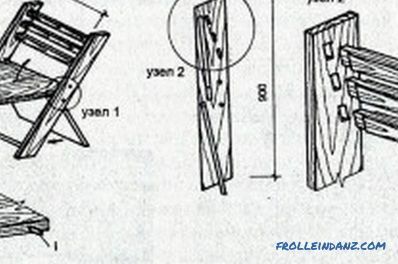 The latter are necessary for the coupling of the elements, in addition, they will act as axes when folding the structure.The slats should be adjusted to the peculiar contours of the legs, using a file for this, which can be used to round the supporting ends of the slats. The supporting bars of the legs and armrests need to be provided with sockets that will be settled after marking. Dowels in the received nests can be installed after their arrangement with the use of surface gauge, as well as compasses. When making folding chairs, you need to glue the dowels, and then put the armrests and bars on them. The position of the elements to bring the method of tapping the hammer on the bar. After installation, the structure can be folded and clamped with clamps, additionally using boards. Compression of the armrests and the legs of the legs must be done after strengthening to two more boards of oblique slats, which will serve as supports. Threaded rods need to be adjusted along the length of the hacksaw. The ends should be decorated with chrome cap nuts, but their installation must be done so that the design is folded without effort. Now you can connect the backrest with armrests. 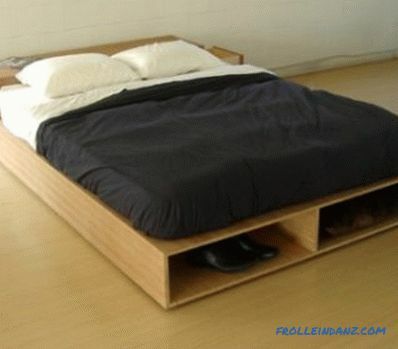 To do this, on one side, fix it with dowels on a 30 mm bar. Using the above technology, you can make not only a chair, but a chair or stool yourself.